Smartphones can be a double-edged sword for entrepreneurs. They’re a necessity in running a business, but some experts argue that they can also be a distraction. Many of the world’s top businessmen, however, utilize their phones in a way that makes these gadgets integral to their success. 1. They find time to stay updated on the news. There’s no one busier than entrepreneurs—most of them hardly have a spare moment to catch up on the latest trends and developments. But keeping abreast of important news and events is crucial to success, so make an effort to check for updates while you’re in transit or in between meetings. 2. They utilize apps to organize their schedules and workflow. You’ll often find apps that track inventory, do minor accounting, schedule meetings, and pull up to-do lists. It’s still necessary to maintain physical records at the office, of course, but it’s invaluable to have access to important details anytime, anywhere—especially when you have to make business decisions on the go. 3. They maximize every function of their phone—including the camera. Success takes a lot of creativity, and that includes how you use your phone’s features. 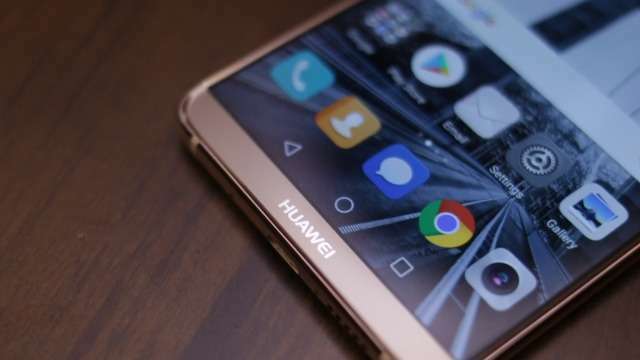 Savvy businessmen, for example, use the Huawei Mate 10’s dual-lens camera to take high-resolution pictures of documents, landmarks, and items for easy reference. Combined with the phone’s AI enhancements and Microsoft Translate, the Mate 10’s camera can also be used for real-time text translation of foreign languages without the need for an internet connection. 4. They make it an extension—or even a replacement—of their PC. In this case, it’s an advantage to have a smartphone with excellent functionality. The Huawei Mate 10, for instance, has an Easy Projection feature that allows you to connect your phone to displays, turning it into a convenient tool for making presentations. The phone also connects easily to most Wi-Fi-capable printers for on-demand wireless printing. 5. They make sure their batteries stay at comfortable levels. Smartphones are the lifeline to an entrepreneur’s business, and every minute the phone is off is potentially a lost opportunity. High-capacity, fast-charging cells and efficient power-management systems, like those found in the 4000mAh battery of the Huawei Mate 10, help keep your phone going for much longer before it requires recharging. That extra capacity comes in handy when combined with the Mate 10’s reverse-charging capabilities, turning it into a power bank for your other devices. 6. They save some space for a little fun. Of course, every smart businessman knows that the “all work, no play” attitude actually decreases one’s productivity over time, so it’s not uncommon to find a few games installed in their phones. Packing up to 128GB of internal memory, up to 6GB RAM, and Huawei’s powerful Kirin 970 processor, the Mate 10 can run all the top games smoothly, making gaming breaks during downtime a breeze. With the Huawei Mate 10, running a business gets a lot easier. Learn more about the Mate 10 and how its features can help you take your business to the next level by following Huawei Mobile Philippines’ Facebook page.